A home of your own in a style all your own. Keeping this in mind Commerce Building Services is offering a array of custom home designs in Sunshine Coast to make your dream come true. Working closely with the Independent Builders Network, and as part of the Sunshine Coast team, Commerce Building Services are able to put clients into the home of their dreams. Select from 80 pre-drawn plans, perfect for a variety of block sizes and dimensions with inclusions clearly marked. If you’d prefer to bring a completely original living vision to life, CBS own supplier network can offer custom designs and make it happen. They have a wide range of the best custom home designs to cater buyers. The team CBS is dedicated to client satisfaction for those looking for a first home or even an investment. 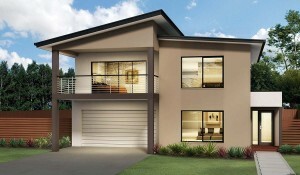 Commerce Building Services is Offering New Homes in Sunshine Cost and Brisbane to home buyers. They have a wide range of luxurious new home plans in Brisbane to choose from. Currently they can provide precisely 100 new home concept designs to you to choose the best one. Click on the New Home Design plan that you loved the most. You would be able to see a larger view of that in a new tab. While sending us an inquiryy mention name of the New Home Design that you want CBS to assist on. A representative will send you its 2D design and assist you over the phone. Further team CBS will meet you and accomplish this custom Home Design plan on ground within a specified budget and time-line. More New Homes you can find on plan page of Independent Builders Network Portal.